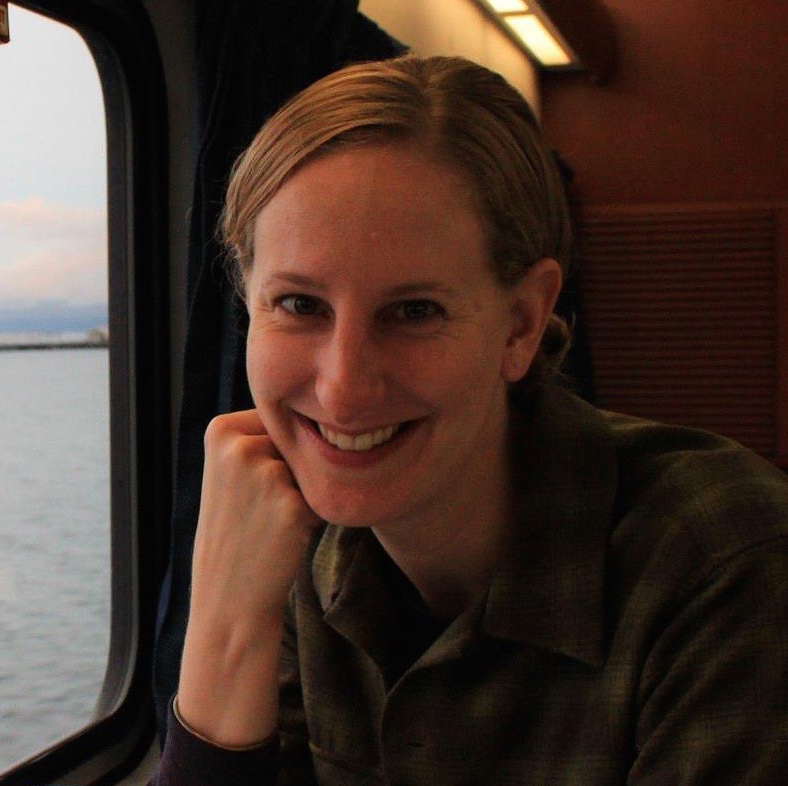 Stephany Wilkes, Ph.D., spent 20 years in various engineering roles before leaving the tech industry in 2015. She writes, works as an independent researcher, and shears sheep. At our request, Honeycomb.io commissioned Stephany to write this introduction to the company and its technology. If online systems have proven one truism over and over again, it is that most of them screw up in some way at least some of the time. DevOps, engineering, and support teams can be forgiven for not knowing this because they cannot: The systems used for identifying and surfacing these problems are themselves flawed. This is the conundrum that Honeycomb, a simple yet powerful tool for debugging modern software, addresses. It empowers engineering teams to solve problems that average metric- and log-based tools cannot surface, and helps answer questions that, even today, remain mysterious: Is my stuff working? If not, why not? 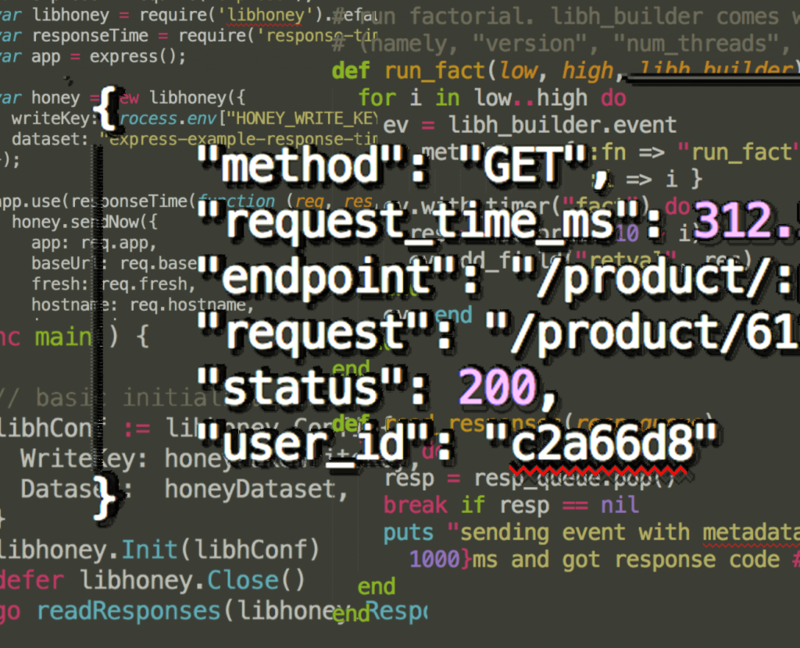 Honeycomb.io, which launches its SaaS service into full general availability this week, provides full stack observability, for event driven debugging. The company is designed from the ground up to debug live production software, consume event data from any source with any data model, and make collaboration a central part of problem-solving. Honeycomb is built on the notion of an event-focused view of the software stack. In a nutshell, it offers genuine, full-stack observability, from clients (mobile, IoT), to your own services (APIs, other microservices), to software written by other people (databases, message buses, web servers, proxies, containers, schedulers, and so on). It allows you to ask and answer questions across any subset of the stack, whether you wrote it or not. Let’s take a look at each of these shortcomings and how Honeycomb addresses them. Many tools make assumptions about customers’ technical environments, which makes it difficult for these systems to look beyond their preconceived notions of what is important. In addition, the cost of initial instrumentation can be high, which makes such systems expensive and time-consuming to roll out and change. Many tools depend on indexes and schemas, which are by definition predefined: They require you to predict what queries you will need to run in the future. This is particularly problematic during technical crises. When something goes haywire and engineers need to attack and destroy problems, it either takes too long or is impossible for them to answer questions they didn’t think of in advance but urgently need to answer. With Honeycomb, engineers never reach a point where they can’t ask more questions. The purple line displays a single slow query. This image elaborates on the first image, shown above. 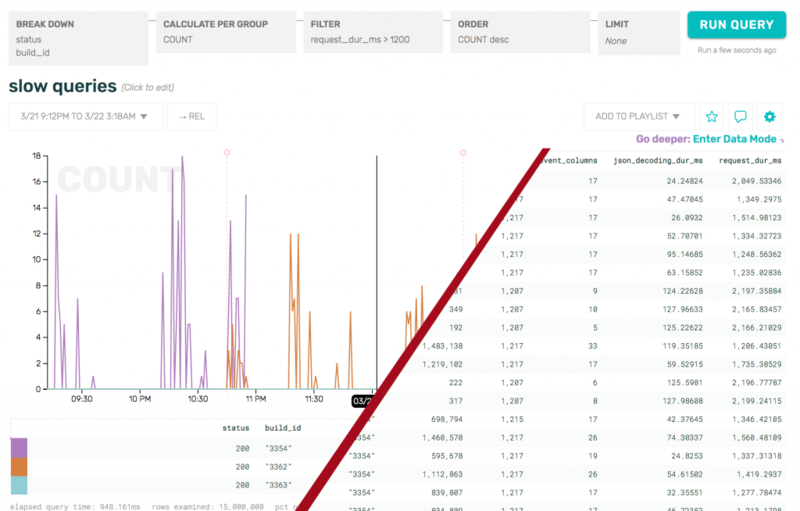 Here, Honeycomb digs into slow queries specifically and looks at the full event data in its Data Mode. Data Mode examines the full data for each event represented in the chart and provides a way to obtain the full context from actual events sent to Honeycomb. The term Playlist (top right, “Add to Playlist) describes collections of user-defined queries that are saved in Honeycomb for later use or use by others on a team. Many tools cannot handle having “user_id” as a dimension, because of the high cardinality caused by having a large number of users. Honeycomb is built to do exactly this, however; user_id as a dimension is a direct result of Majors and Yen’s experience supporting 60,000 apps that served millions of users at Parse. The same issue also plagues dashboards, which only show what they are told to show, and often hide problems behind graphs and averages. After you have a handle on what’s important, dashboards can be helpful. They are not, however, a great way to figure out what’s important in the first place, nor can they do necessary investigative work. Yen and Majors, who met at Parse, want to enable all engineers to do the same, to take matters into their own hands and dive into their own data. Conventional tools do not provide sufficiently fine resolution to pin problems down to very specific cases. Say, for example, that a customer who makes up 0.1 percent of traffic reports that something is slow: Their system serves a million or so queries and 1,000 of these look sluggish. A typical first response for support is to check the 99th percentile (P99) response time. Of course, P99 will not include this 0.1 percent customer, so the event will be lost. Take the example of an API erroring, semi-reliably, for a small number of customers, yet not enough to raise any system-wide alarms. Support folks need to know who these customers are and what they have in common, but Honeycomb is the only system that will tell them with any expedience. Many tools claim the real-time moniker but, when it comes down to it, most are not. Honeycomb is. Engineers and support folks can ask any question in real time and get an answer in sub-seconds or seconds (literally), not minutes, hours, or days. 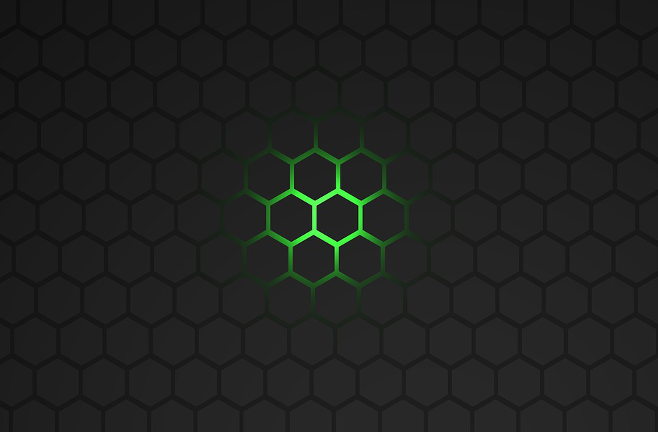 Honeycomb gives all developers on a team a way to understand and share what’s going on throughout the system and to do so in a way more senior developers may understand implicitly. Engineers can share different data views to explain things to each other, including views that look backward. 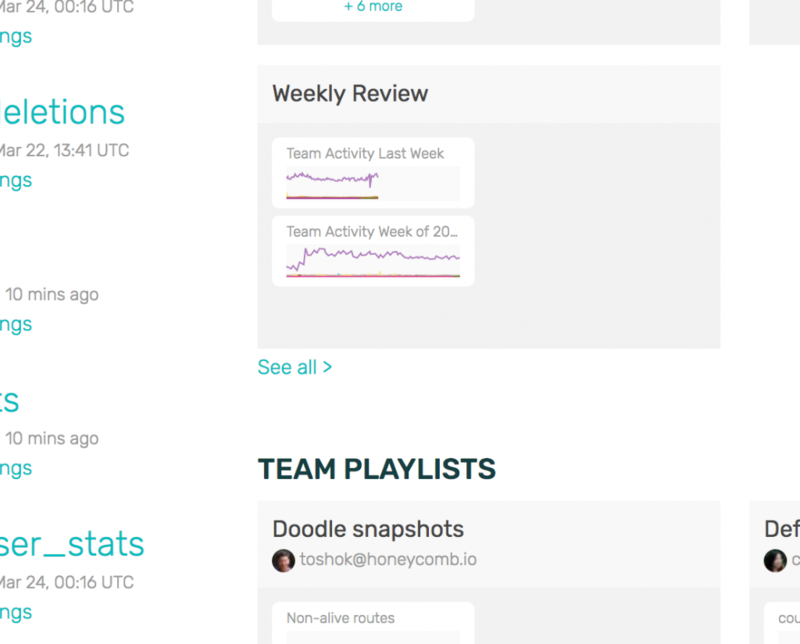 Weekly Review shows all activity across a team in Honeycomb. Being able to see and share work is core to how Honeycomb is meant to be used because it creates a mechanism for every engineer to rise to the skill level of the best engineer in a specific area, such as MongoDB operation. As for “Is my stuff working?” inquiring team members can, for instance, see the timeframe for the release of their code and receive a factual answer to share with others. Most tools provide engineers with basic information like “Before my code went out, a query took 7 milliseconds; afterward, it took 1 millisecond. Yes, it’s working.” Honeycomb, however, can tell an engineer “The specific query I worked on took 7 milliseconds,” data that can be washed out in more typical system-wide averages. 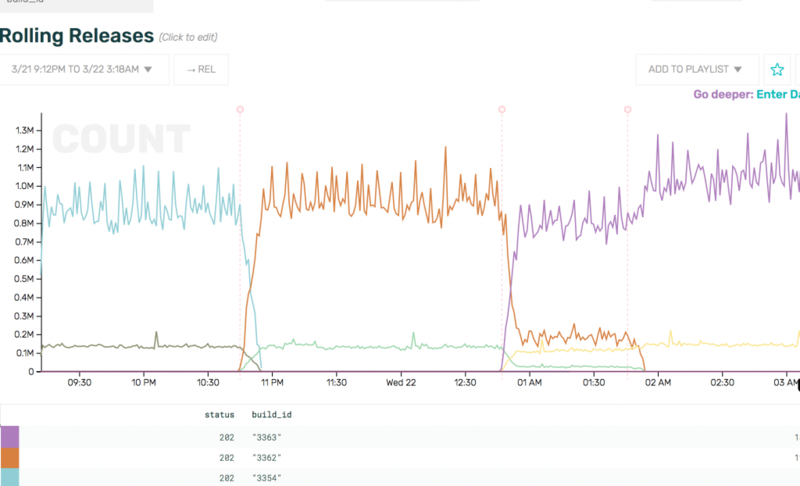 Here is a single kind of event (in this case, an http 202 status code) as viewed across different builds over time. The number of those events rises in the last build. Because Honeycomb allows for different kinds of questions, it describes — at a much deeper level of granularity — exactly what is happening and why.